All the way back in 2013 (has it really been that long? ), Steve Kondik and many other CyanogenMod contributors founded Cyanogen Inc. The company had two goals, to maintain the existing community-created CyanogenMod ROM, and to develop 'Cyanogen OS' for other manufacturers' devices. That business model could certainly have worked, but it didn't take long for the company to make costly mistakes. The first mistake was when Cyanogen ended its partnership with OnePlus, the only manufacturer it was working with at the time. The company's CEO, Kirt McMaster, continued to soil the company's reputation and success. He famously said that Cyanogen "is putting a bullet through Google's head" by working with BLU to make an Android phone without Google services (which never materialized). Meanwhile, the company continued to develop Cyanogen OS for various OEMs, but they were mostly limited to India. In July of 2016, Cyanogen Inc was rumored to be undergoing major layoffs while shifting its focus to app development. That was later denied, but the company finally unraveled a few months later. Kirt McMaster resigned as CEO in October, its Seattle offices closed in November, and builds of CyanogenOS ceased in December. Cyanogen Inc essentially closed up shop, at least in the public eye. The company quietly re-emerged as 'Andrasta', which was accidentally confirmed by a tweet from McMaster in February. 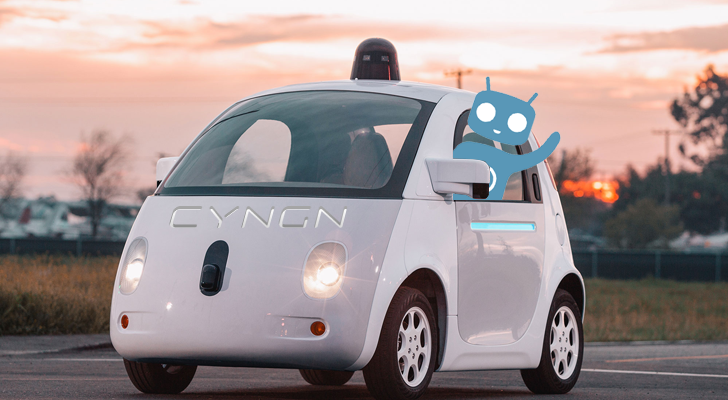 At some point between then and last month, the company became 'Cyngn,' which claims to be working on autonomous machines. The new CEO is Lior Tal, who was COO at Cyanogen Inc until McMaster left. Recode reports that Cyngn received a permit to test autonomous vehicles in California last month, and that the company is working towards automating loaders, excavators, and other construction vehicles. In case you were wondering, Android doesn't seem to be part of the equation; job listings reveal that the company will use ROS instead. A document obtained by Recode also says that Cyngn is looking to raise another $200 million in a Series D round, and the company is even open to being purchased. So there you have it - the company founded to develop an Android ROM for phone manufacturers is now trying to create automated construction machines. At least as far as involvement in the Android community goes, the story of Cyanogen/Andastra/Cyngn is now over.